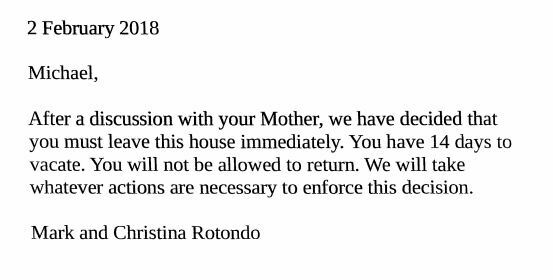 A New York City judge has in May 2018 ordered a 30-year-old man to move out of his parents’ house after they went to court to have him ejected. 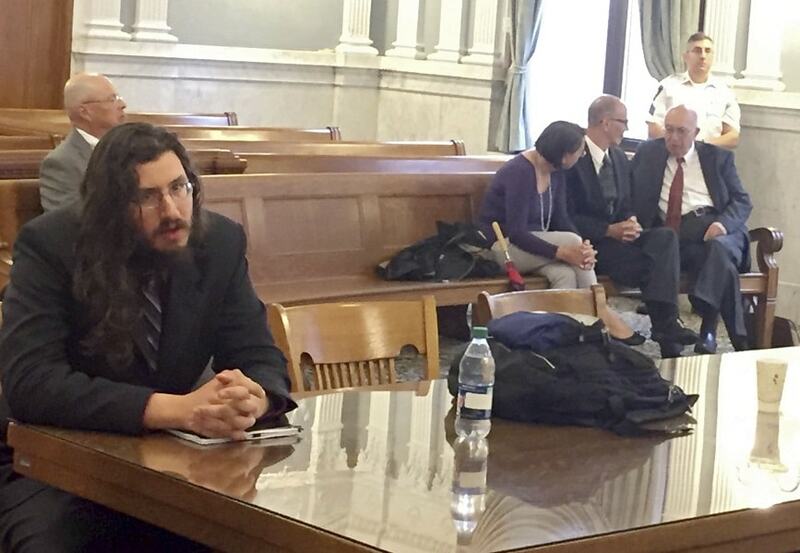 Michael Rotondo told the judge he knows his parents want him out of the split-level ranch they share. But he argued that as a member of the family, he’s entitled to a six months notice before his eviction. State Supreme Court Justice Donald Greenwood rejected Michael's plea and called it "outrageous", the Post-Standard of Syracuse reported. The judge then ruled in favour of Michael's parents and ordered him to move out immediately. Rotondo told reporters he’ll appeal the ruling. Michael's parents, Mark and Christina Rotondo, brought the case to court after their son ignored several eviction letters they sent to him. 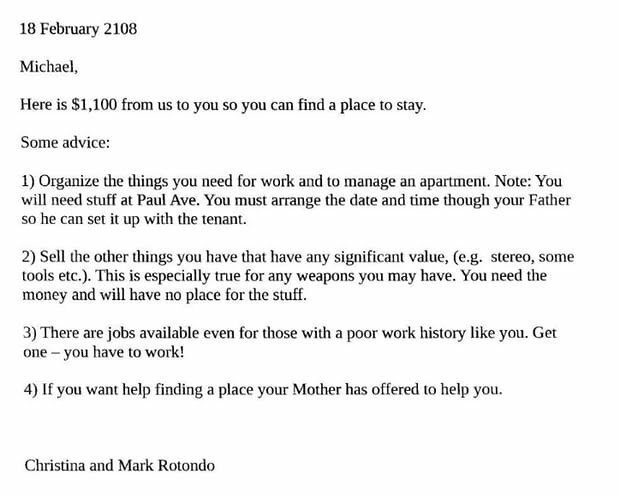 In one of the letters they offered him money ($1100) to enable him get another place to stay.